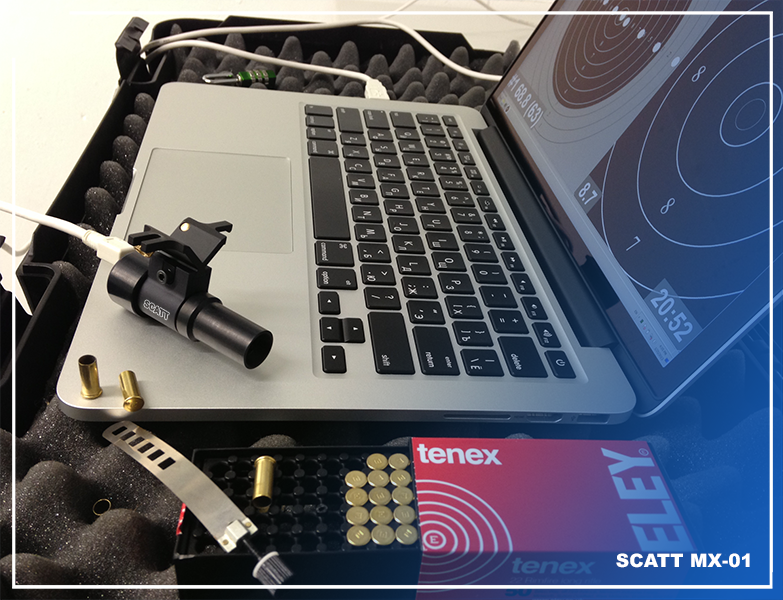 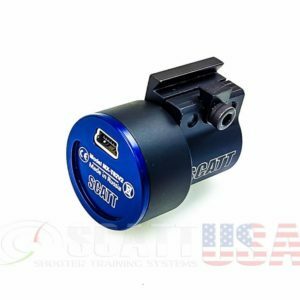 SCATT MX-02 — is an electronic shooting trainer intended for shooting practice with real paper targets. 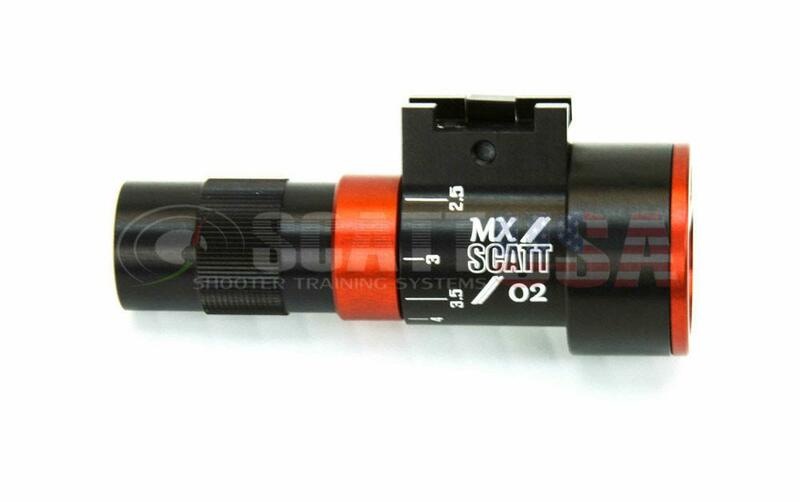 The unique feature of this system is the ability to train either in the dry fire mode or in live fire, using real ammunition. 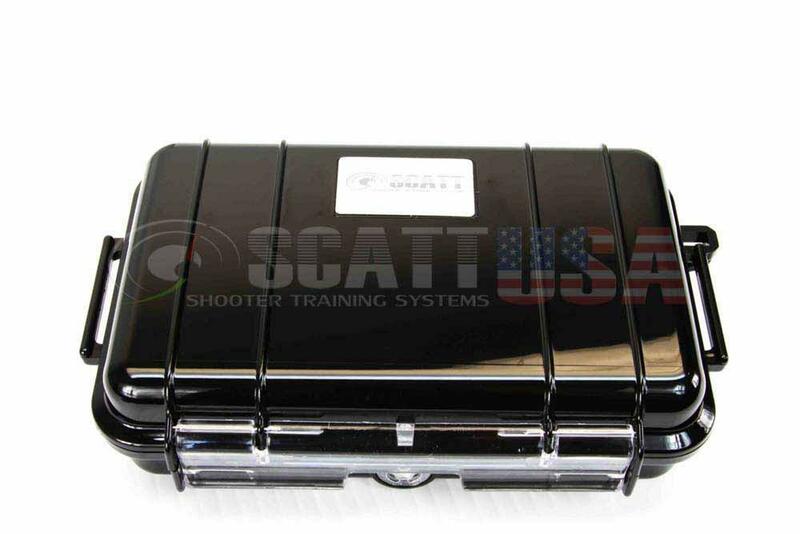 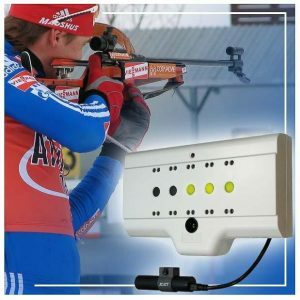 The trainer is also designed to be used both indoors and at open shooting ranges. 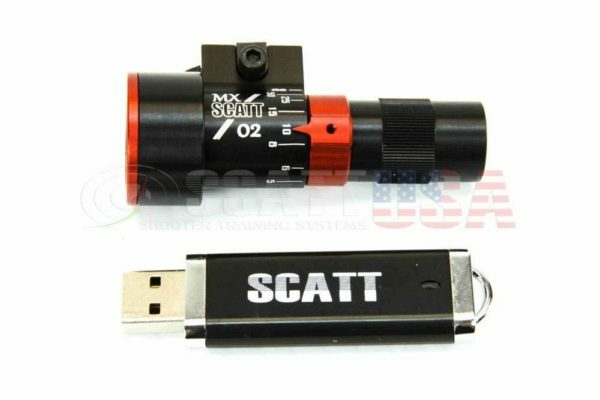 Another standout feature of this model in comparison to other SCATT systems is the lack of an electronic target. 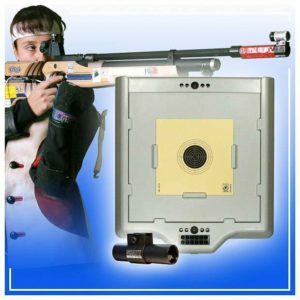 Which means that now you will be able to train by simply using a paper target or a standard target installation (i.e. SIUS ASCOR, Meyton, Polytronic). 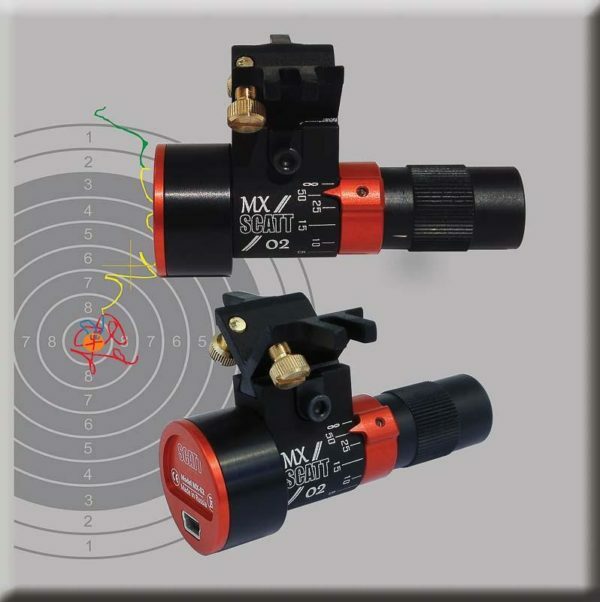 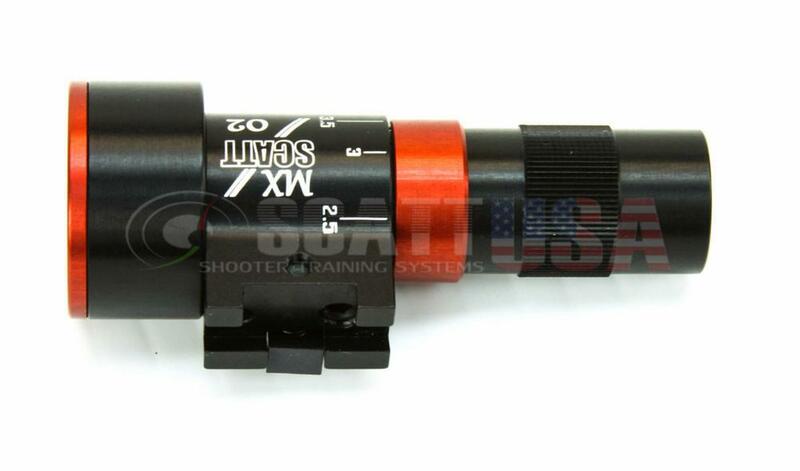 In live fire training you don’t have to worry anymore about damaging the electronic target frame. 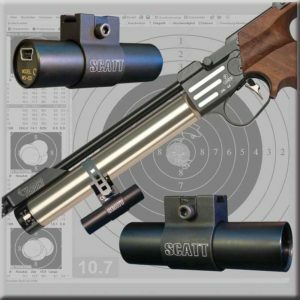 The system can withstand heavy recoil even from high-power cartridges. 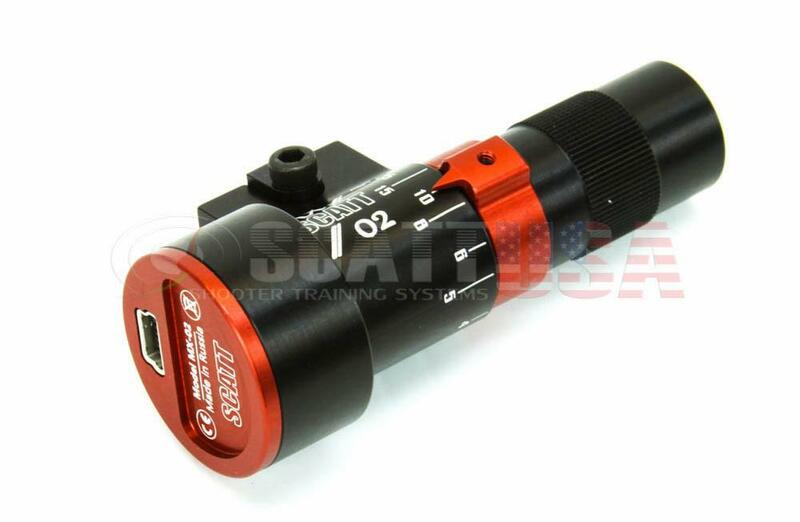 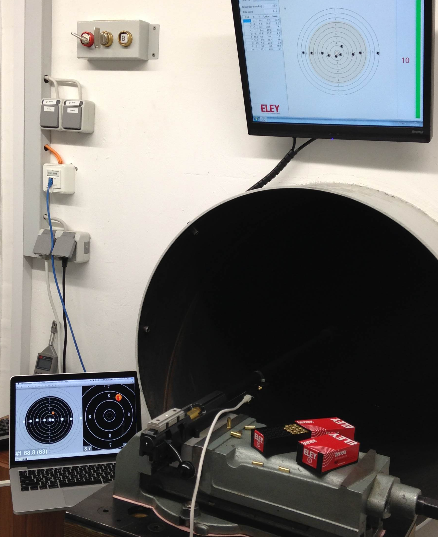 The device has an adjustable dial that adjusts the optics of the sensor to distances from 5m up to 500m.